Short design with lots of storage space. 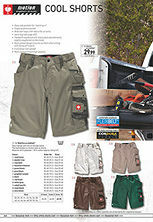 The fashionable e.s.motion look as shorts. If you really want to get to grips with something you need to be wearing motion! 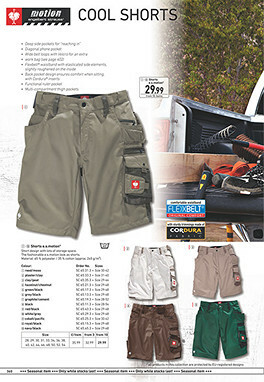 A cool look – practical features – innovative materials. Being a skilled craftsman is more than just a job. Every day new challenges, sometimes straightforward, often difficult. Every day visible results that you can be proud of. You won’t find that in an office. What you wear on a building site has to withstand a lot and still always look cool. Like motion. 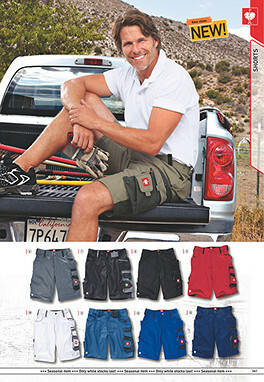 motion is the innovative workwear range for men who want to look as good at work as they do in their free time. You can trust in the cool look and practical features of motion just like in your workmates. motion – softshell jackets, trousers for any weather and fleece tops. Plus hats, caps and belts. Every item is totally practical, comfortable and longlasting! motion – it doesn’t get any better!